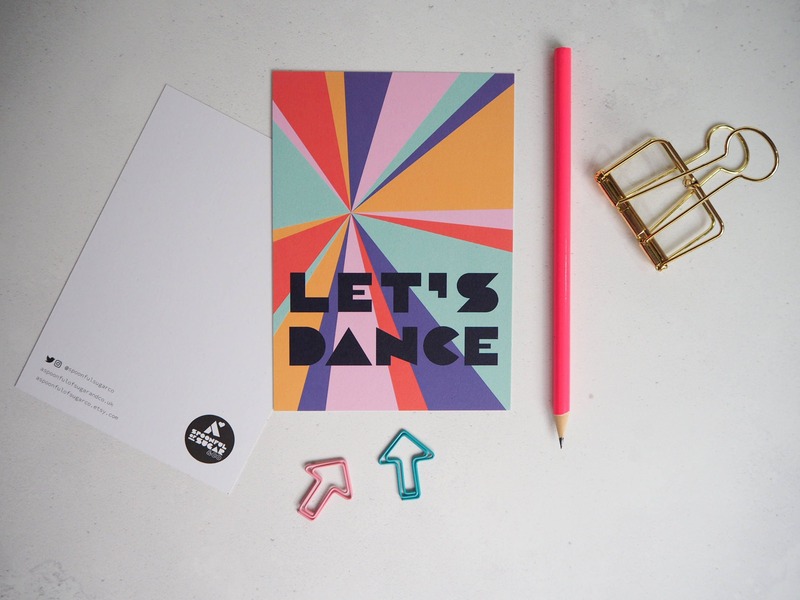 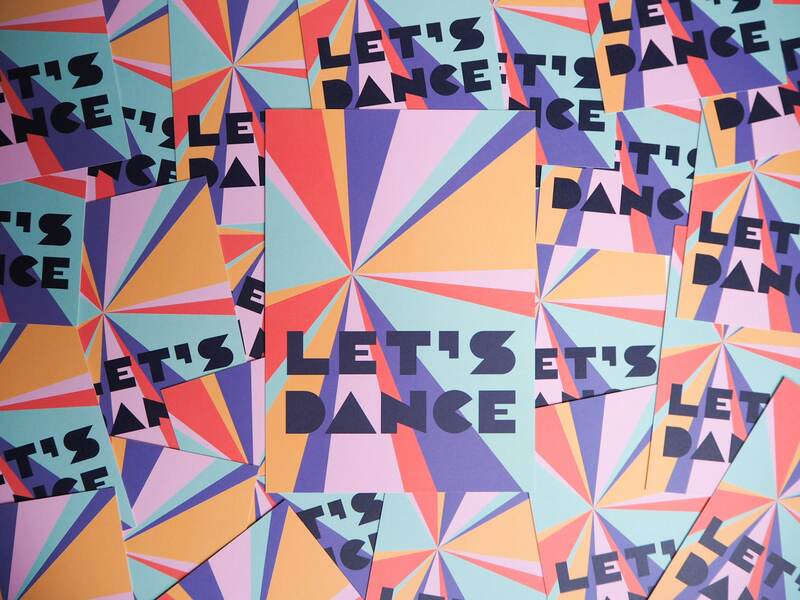 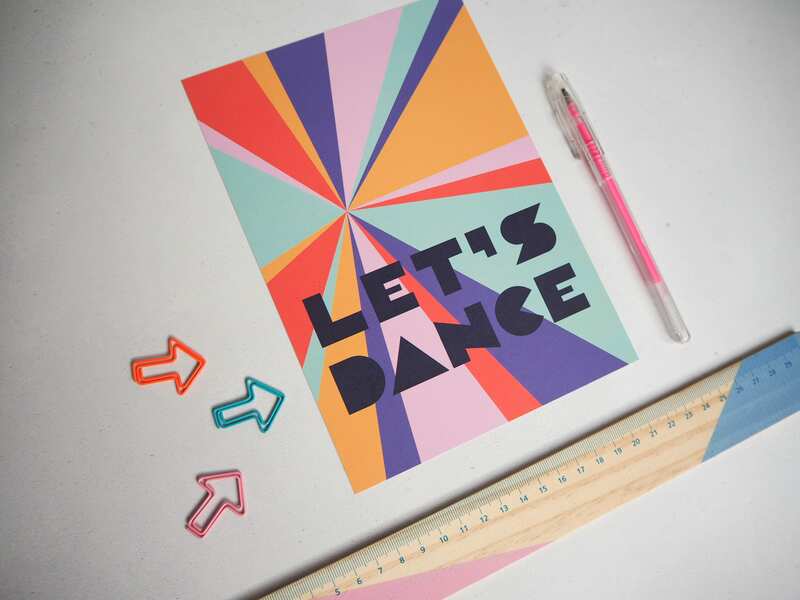 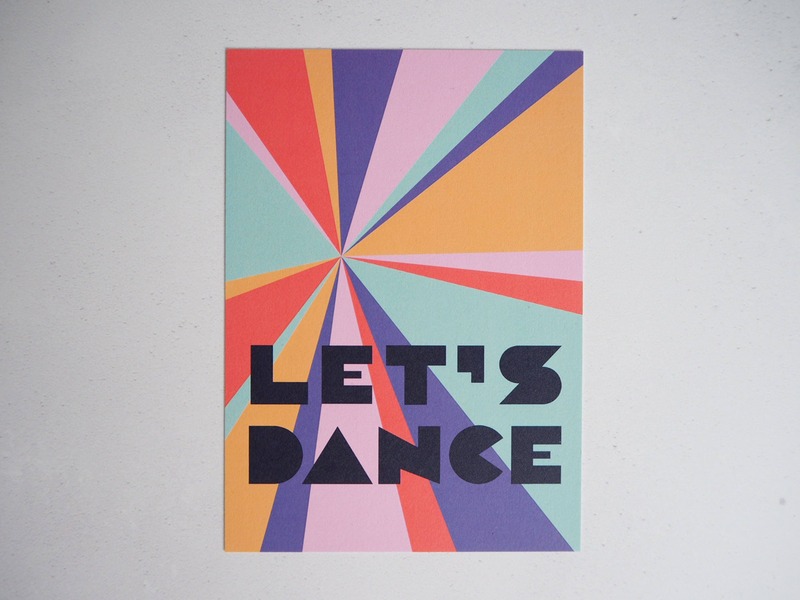 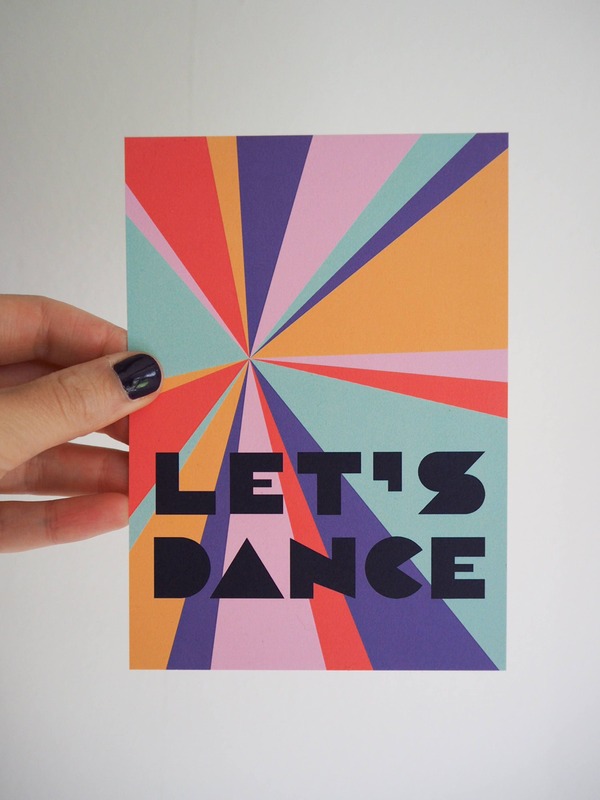 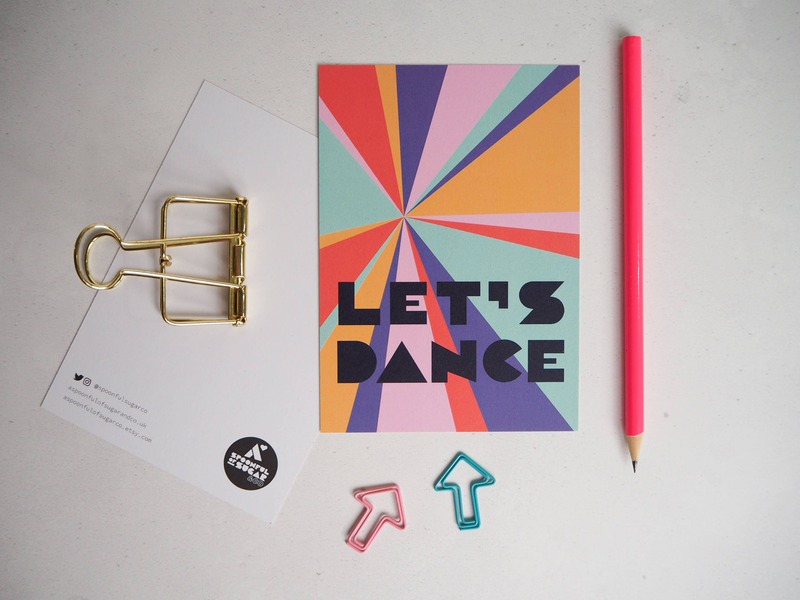 Lift your mood with this fun, bold light beam rainbow, 'Let's Dance' print. 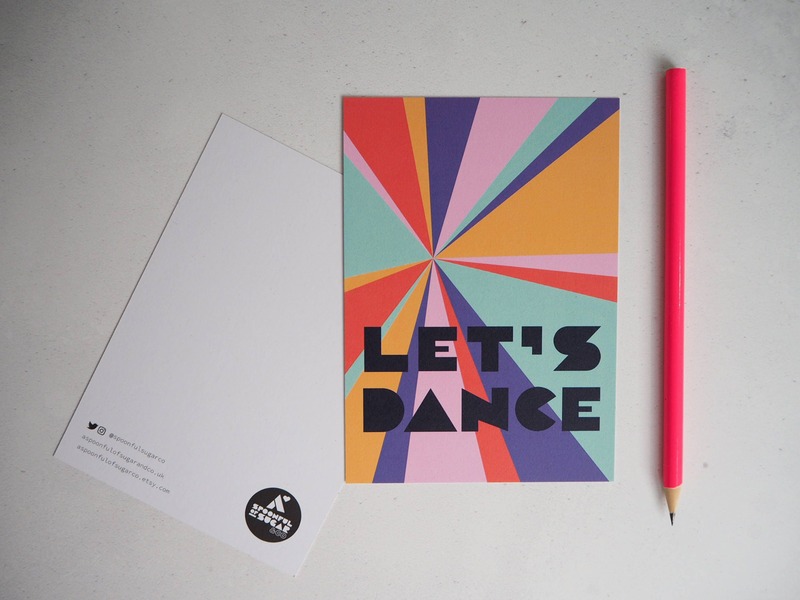 Designed with my custom made geometric typeface and digitally printed onto recycled 250 - 350gsm paper. 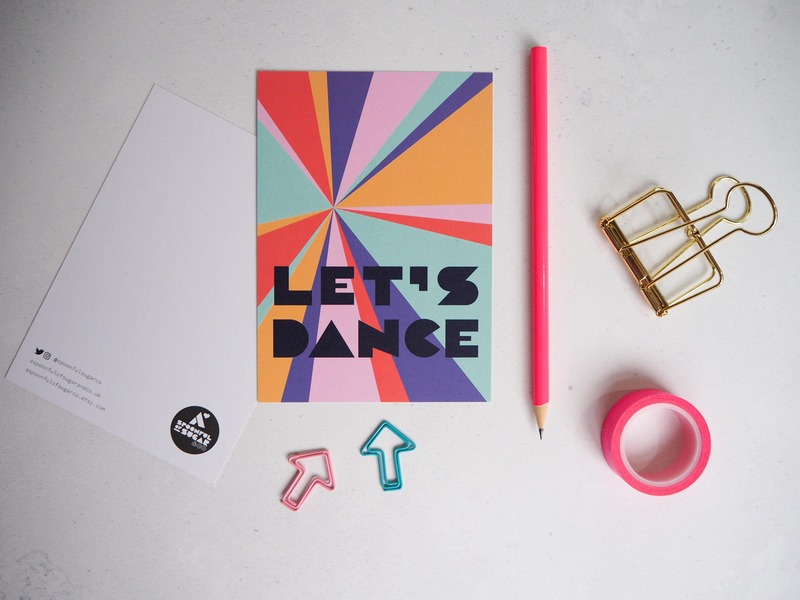 Each print comes packaged in a cellophane bag and the A5 comes with backing card to keep it protected.